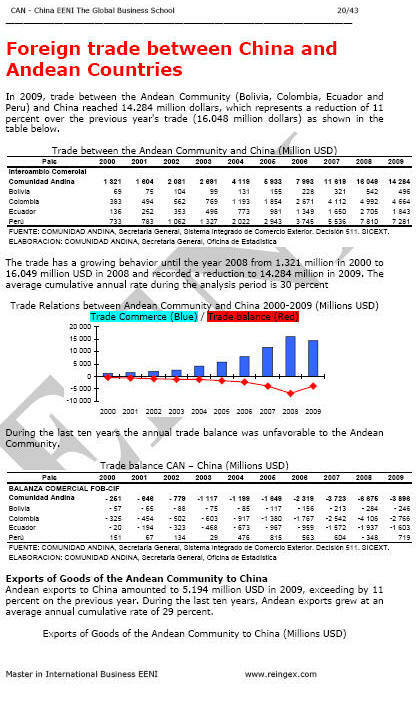 Syllabus of the Online Course (Subject): Trade Relations between China and the Andean Community. The Andean Community and China signed on 2010 an “Agreement for the establishment of a political consultation and cooperation mechanism” to intensify their cooperation and international trade. In the last decade, the Andean exports grew at an average annual cumulative rate of 29%. The Andean Countries belong to Western Christian Civilisation (Latin American) and China to Sinic Civilisation.